*Disclaimer: I was not compensated for this review and I was under no obligation to write this blog post. The views expressed are mine and I was not influenced in anyway. 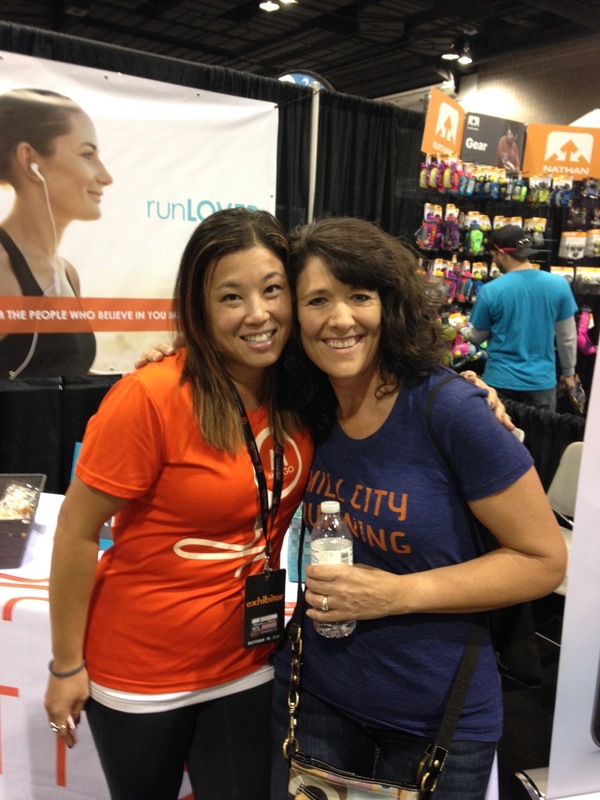 A couple of weeks before the Denver Rock ‘n’ Roll Half-Marathon, I was contacted via email by Alicia Benjamin, founder of RUNspiration, which by the way is AWESOME! Through the power of social media, Alicia knew I was running the Denver Rock ‘n’ Roll race and she wanted me to know about and check out a new app called Motigo. I had never heard of it before, but after reading her email, I was definitely interested. However, as I often typically do, I tagged the email to read again and respond to later, but of course, never got around to doing it. She contacted me again and I did finally respond. I downloaded the app, got it all set up, sent out a request to family and friends about the app and then, basically forgot about it. I have a tendency to do that sometimes, forget about things. (Sorry, it’s just my personality! It’s not that it wasn’t important. I’m just like that – forgetful!). Setting the app up was quite easy, it maybe took five minutes or so. AND, IT WAS SO WORTH IT! I am here to tell you, this app definitely has some potential. If I would have known how much I was going to like it – LOVE IT – while running the half-marathon, I would have reached out to more friends and family and would have begged everyone to jump on board. I was very pleased with my two friends who did jump on board. It was AWESOME! 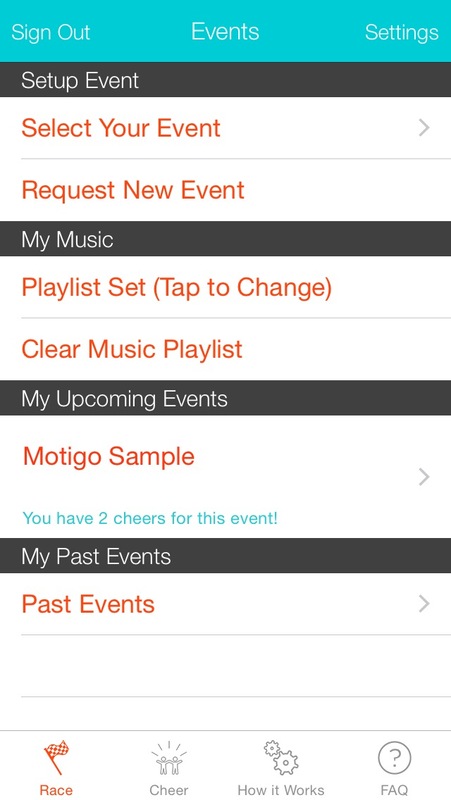 So, are you wondering yet what Motigo is and what makes it so special? In a nutshell – or in my own words – it’s an app that let’s friends and family record motivational messages to you, which play while you are running, through your headphones. And, you have no idea when they are going to play. You do know if you have messages and how many, you just don’t know when they are going to play. And when they do, it’s inspiring, motivational, emotional and just downright spectacularly AWESOME! So, if you are wondering exactly how it works, check out the “How it Works” page on Motigo’s website, which you can find by clicking here. First off, I want to shout out a huge THANK YOU to my friends, Tina and Tonya, who signed up for and used Motigo to send me personalized messages. Prior to the start of the race, I turned on the app and saw that I had two messages. I had no idea who they were from, which was kind of cool. It was a mystery and It made me curious, that’s for sure. As I crossed the start line, I hit start on the app. My music, which I had selected from my playlist started playing. As I began running, I kept thinking about the messages, wondering who sent them and when they were going to play. I have to admit, it kind of took my mind of the running – for awhile anyway! For a second I thought if I ran faster I would get to hear my messages faster, but that didn’t last long. As I was nearing the half-way point of the race, my music all of a sudden got a little softer and a voice came on that I recognized immediately. It was my friend, Tina. She said that she thought I was nearing the half-way point, that she was proud of me, that she knew I could do this and that I just needed to just keep on rocking and a rolling. Yep, you guessed it. I totally teared up. AND…picked up my pace, just a little. It was just what I needed at that moment, as I was running up ANOTHER hill. Within seconds, another voice I recognized immediately came on. This time, it was my friend, Tonya. She told me I was gonna totally rock the race and that, “the faster I run, the faster I’m done!” Again, it moved me to tears. And again, I picked up my pace – well, okay, I KIND OF picked up my pace! If I would have known the impact hearing those two messages – or CHEERS, as Motigo calls them – would have had on me, I would have definitely been telling everyone about the app BEFORE race. If only. Again, in hindsight, which as “they” always say is 20/20! I know that the founders of Motigo, who are the husband and wife team of Dan and Celeste (yes, that’s her name and isn’t it AWESOME?!?! ), along with their team, are still working on the app. Yes, even though it is available, they are making adjustments. I know they are still trying to get the bugs worked out, trying to figure out pricing and all of that. But, from what I know and from the one time I used the app, it’s pretty dang cool. I hope – no, I know – that I will get to use the app again. And next time, I hope I have at least five cheers or maybe even 10 from my family and friends. Because seriously, hearing from loved ones while running is just as cool as having them standing on the sidelines cheering in person! Well, almost! And they are right. I seriously loved hearing from Tina and Tonya. It was so special. It meant so much that they took the time – which isn’t very much – to send me those well wishes. Dan and Celeste said that Motigo not only “connects runners to their biggest fans by delivering personalized audio messages, runners can even record their favorite mantras or race day reminders,” as well. I mean, come on, how cool is that. To give yourself a little pep talk when running. I do have to admit, I didn’t try that feature, but I should have. Sometimes when you are running a race, especially longer distance races, you seem to forget things, you kind of go into this daze. Hearing little pep talks from own yourself would definitely help! I am not entirely sure how the pricing for the app works, as currently it is a free app and when you sign up, you get one free cheer (message). I think in the future, it would be wise of them to continue making the app free, but then charge a flat fee for those wanting to receive cheers/messages. For instance, I would get to download the app for free. 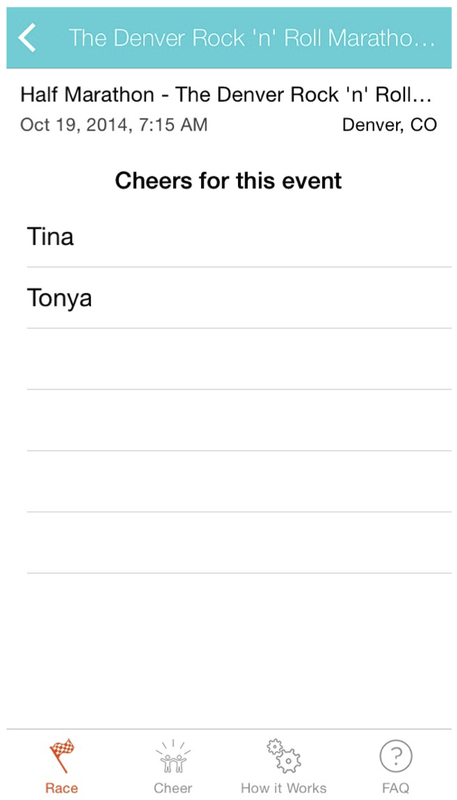 Then, if I wanted to get cheers/messages, I would pay a fee – say $10 for 1-10 cheers or something like that. I don’t think it would be right to ask those cheering you or sending messages to you to have to pay. I think if anyone should pay, it should be the person receiving the cheers/messages. Hope that makes sense. For those who are not necessarily challenged by technology, the app was pretty simple to use. It is pretty self-explanatory. For some, there might be some challenges. My husband used the app (I recorded a message for him!) and if he can do it, I think most people should. He proclaims that he’s technology challenged! From my understanding, you have to have a smart phone, whether it’s an iPhone or an Android-based phone, to use the app. Although, I think there might be a possibility of being able to record messages right from the website, using a computer instead of a smart phone, somewhere down the line. Which, would be a totally cool offering. Believe it or not everyone has a smartphone! I heard of this information, about being able to record messages via computer, because as it turned out, I got to meet the founders, Dan and Celeste, at the Denver Rock ‘n’ Roll expo. It was really cool! I even had my picture taken with Celeste. I had to, I’ve never had my picture taken with a Celeste before! I am not sure if I have ever actually met another Celeste! 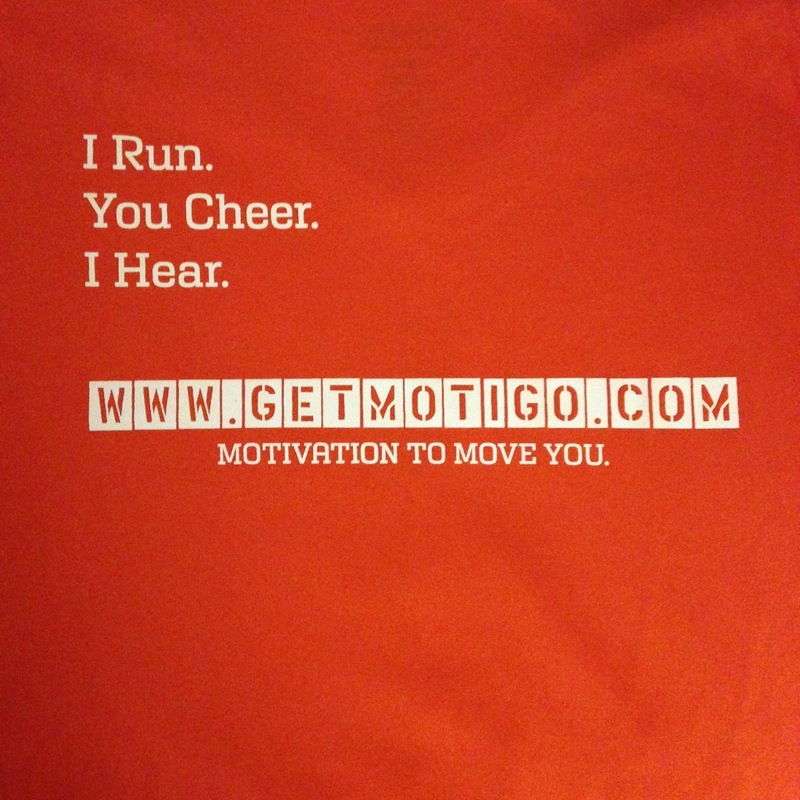 I will leave you with this: If you are a runner and would love some motivation while you are running a race, go ahead, check out Motigo. It’s pretty worth your time. Trust me, I run races – A LOT – and if I could hear from my family and friends at every single race, I would do it. It is motivating! Seriously a cool app! Glad I could in some way be part of your run! And your right it took mere seconds to record a message! And how cool that you met the creators!! Sounds amazing. Is it only available on iphone right now? If so, I hope it comes out for android. they had me at DOESNT DRAIN YER BATTERY, too. Previous Previous post: Throwing out a challenge…do you accept?